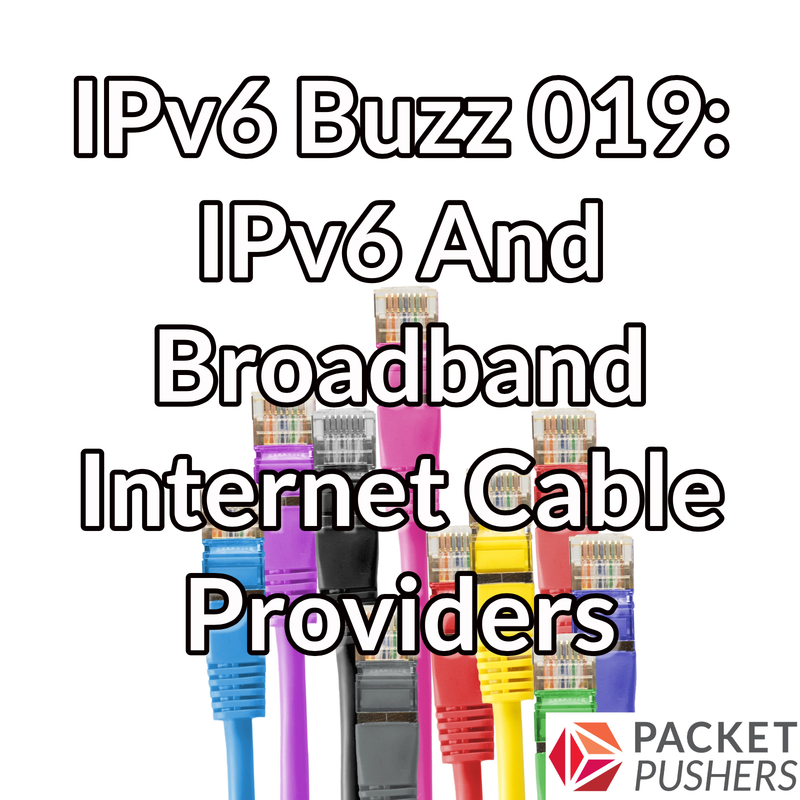 In this episode of IPv6 Buzz 019 the team discusses broadband internet cable providers. In the latest episode of IPv6 Buzz we examine IPv6 deployment among cable providers. We’ll discuss industry trends, dual-stack deployments, and how the cable industry is working to transition IPv4 out of the providers’ access and distribution networks. Our guest is Dan Torbet, Director of Systems Engineering at ARRIS. He’s worked in the cable/MSO Internet industry for over 25 years. Dan was an active participant in industry efforts around DOCSIS 3.0 and Modular CMTS specifications and has been a long time advocate of IPv6 adoption including as a very active Rocky Mountain IPv6 Task Force member and volunteer. This entry was posted on Thursday, February 7th, 2019 at 12:00 pm	and is filed under Podcasts. You can follow any responses to this entry through the RSS 2.0 feed. Both comments and pings are currently closed.